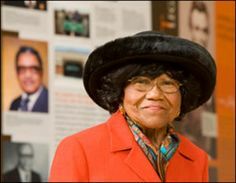 OKLAHOMA CITY, March 25 (Reuters) – Nancy Randolph Davis, a prominent Oklahoma civil rights activist who in 1949 became the first African-American to enroll at then segregated Oklahoma State University, has died at the age of 88, officials said on Wednesday. Davis, who helped open the door for other black students to attend segregated schools in Oklahoma, was an advocate of quality education for all, without racial barriers. She died on Monday, family members and officials said. “She was a soldier and a pioneer for civil rights. She worked to make the world a better place for everyone,” said Garland Pruitt, president of the Oklahoma City chapter of the NAACP, or National Association for the Advancement of Colored People. A 1948 U.S. Supreme Court decision calling on the state to provide equal education to black students led Davis to enroll at OSU, then called Oklahoma A&M, and Ada Lois Sipuel Fisher to enroll at the University of Oklahoma School of Law.